Is there anywhere on the Faerybeads site that one can see the actual diamond colors for the eyes on the Argentum Dragon Lock? I can't decide between the blues or greens to begin with, and then the different shades of blue and green have me stumped. What I think I want is something that looks like the green of a tsavorite (bright emerald) but I'm not sure which color that would be or even if I wouldn't rather have the blue. If anyone can point me to a photo of these eyes, or if anyone has an Argentum lock and would share a photo I would be most appreciative! Thanks!!! I think there were pictures here earlier, when the dragon locks first came out. Maybe those posts have been archived. @LindaJo wrote: I think there were pictures here earlier, when the dragon locks first came out. Maybe those posts have been archived. I did a search for that yesterday, and found several posts but no actual photos. If anyone can point me in the right direction I'd be grateful! I've sent a DM to Faerybeads on Instagram but haven't gotten a response. I'm sure they are busy this time of year!! 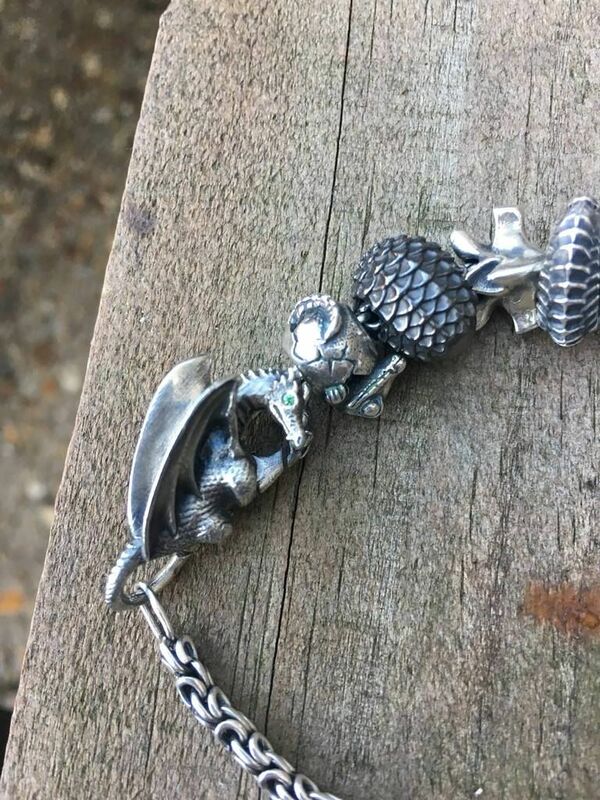 I can't find this pic on faerybeads' website, but on pinterest there is a pic of all the dragon locks. Maybe you can match the eye color to the list on the website? I didn't check to see if they were in the same order. Perfect!!!!! I can at least pick the color and then I'll bet someone at Faerybeads can make sure I get the correct one!!! I've been ALL OVER Pinterest looking and didn't find that!!! Thank you so much!!!!! @LindaJo wrote: I can't find this pic on faerybeads' website, but on pinterest there is a pic of all the dragon locks. Maybe you can match the eye color to the list on the website? I didn't check to see if they were in the same order. i have a green one, no sure which green, its pretty though. I think all the colours are great. I think I would choose that color Clover if you remember which one it is! THAT'S what I'm looking for! Not too dark, not too light! I want it to look like a diamond, not an emerald! @Cloverbead wrote: i have a green one, no sure which green, its pretty though. I think all the colours are great.